Six more women have levied accusations of sexual misconduct against CBS CEO Les Moonves, prompting reports that Moonves, who has been with the company for over 20 years, will be out of a job very soon. The new allegations were first reported by Ronan Farrow in The New Yorker. Why it matters: When the first round of misconduct allegations against Moonves were published last month by Farrow, CBS' board stood by his side, letting the veteran television executive continue to run the company and be its public face for weeks. Now, reports suggest that the board will move quickly to remove Moonves from power. Moonves will be gone within 24 hours, according to multiple reports. "Leslie Moonves’ tenure at CBS Corp. is expected to end within the next 24 hours as new allegations of sexual assault and harassment surface in an investigative report by Ronan Farrow," Variety's managing editor for television Cynthia Littleton writes. 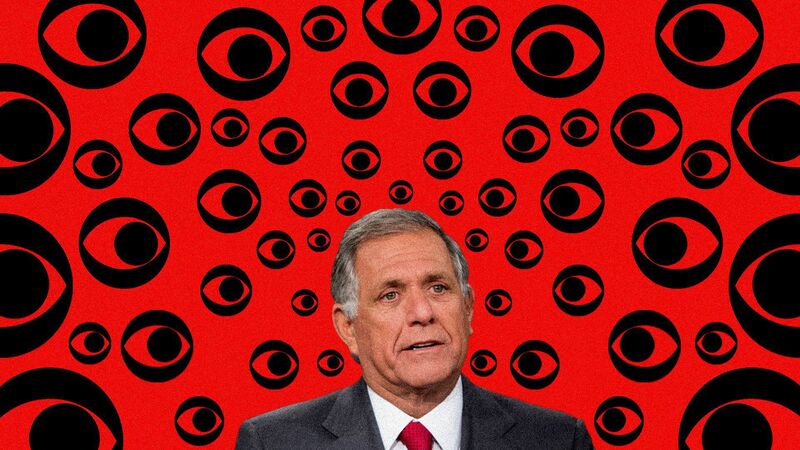 "Moonves ... will step down soon as part of a wide-ranging corporate settlement of a separate fight for control of CBS. ... The CBS board of directors is likely to announce the deal by Monday morning, according to two executives with direct knowledge of the matter," CNN's Brian Stelter reports. "The revelations add pressure to exit talks that were already underway at the most watched U.S. broadcast network. The announcement of his exit is now expected this week, and could come in the next 24 hours," per Bloomberg's Lucas Shaw and Chris Dolmetsch. CBS' board has been negotiating an exit agreement with Moonves for weeks, the New York Times reported Thursday. The board reportedly wanted to cut Moonves' severance package down from $180 million to $100 million, mostly in stock, and maintain the right to reduce that package, depending on the outcome of investigations into Moonves' behavior, per CNBC. CNBC also reported — to no surprise of industry insiders — that CBS would appoint COO Joe Ianniello as Moonves' interim replacement. The new allegations come amid growing frustration by shareholders, industry professionals and advocacy groups that CBS' board has been complicit in failing to take action against Moonves when the allegations first surfaced. "And the reason ... that these women are coming out now is that they have been extraordinarily frustrated by what they perceive to be inaction on the part of CBS and its board. And that really is integral to what prompted this follow-up story," Farrow told Stelter on CNN. CBS' board hired two law firms to investigate the allegations against Moonves last month and said it created a special committee to oversee the probe. CBS told Axios that the investigation will continue: "CBS takes these allegations very seriously. Our board of directors is conducting a thorough investigation of these matters, which is ongoing." Separately, CBS was supposed to conclude an internal investigation into CBS News that began in March after Charlie Rose's departure last month, but the timeframe was extended to an unknown deadline after the company said it would roll that investigation into a broader investigation into workplace culture at CBS Corporation. The bigger picture: The drama surrounding Moonves comes amid a legal battle between CBS, led by Moonves, against its majority shareholder, Shari Redstone and her holding group National Amusements Inc.